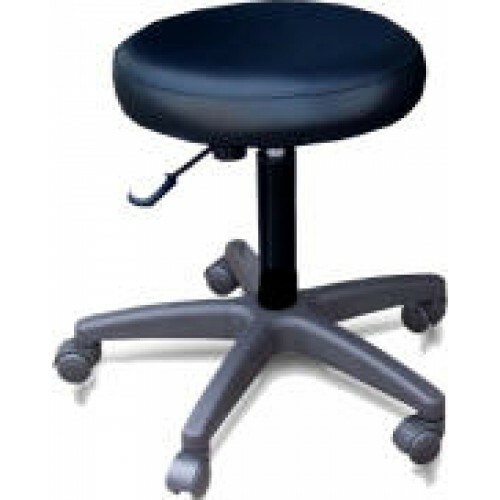 DINA MERI ECONO STOOL Model 90FEATURES: Heavy duty metal frame construction. Padded seat (15" diameter) with durable BLACK ONLY vinyl cover. 5 star base (For more stability) 5 Dual wheel casters. Dimensions: 24" x 24" x 16.5"